Three sisters return home to help their grandmother, Cora Jane Castle, rebuild their family restaurant after a devastating storm hits the area. Little did the sisters know that grandma has something up her sleeve other than a restaurant cleanup. 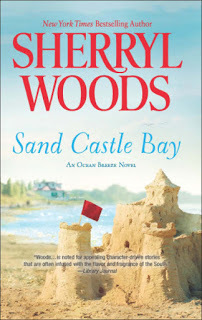 Sand Castle Bay by Sherryl Woods is the first book in the Ocean Breeze series. This first book concentrates on Emily Castle who once had a thing for Boone Castle. Now they are both grown up and finally seeing each other years of being apart. Interesting to see these two characters do a role reversal. Emily, successful and Boone, carrying some baggage from his life sans Emily. It’s great to read about another strong woman, see her struggle with her success and have to make some tough choices. 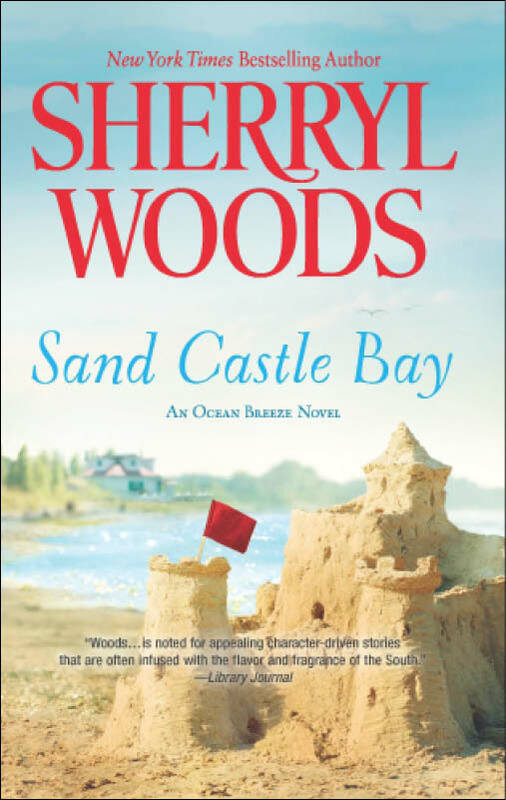 As always, author Sherryl Woods develops characters totally believable and ones that I inevitably become enraptured with. Cora Jane is a spitfire, and the granddaughters are uniquely individual that you can help but to find some connection with one, two or all three. While this story has a small town feel it is all about real life problems. Who doesn’t struggle with making decisions and walking away from a relationship? I think we all have. Career or love? When love isn’t there, it’s easy to choose career. However, when love is there, it must take a lot of soul searching to walk away from it. Good thing for Emily and Boone that someone else is looking out for them because there are a few others that aren’t. 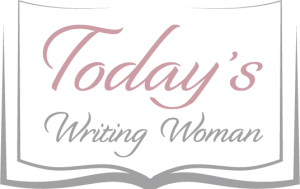 I wouldn’t expect anything less from the author because unlike other romance novels I’ve read, the antagonists in this one, are true to life and totally believable.